University of California faculty leaders said current policy doesn’t give them the power to allow UCLA’s Anderson School of Management to privatize its funding, a move administrators had sought to put the school on par with private business schools. A graduate affairs committee of the UC Academic Senate voted 10-0 against continuing a review of the conversion, with UCLA’s representative abstaining, according to a letter to Anderson dean Judy Olian last Friday. The final decision will be made by the UC President. 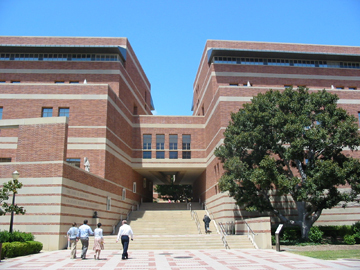 Under the proposal, the Anderson School of Management would have kept its UCLA affiliation, but it would no longer have received state funding. The plan would make the 745-student, full-time MBA program at the Anderson School of Management self-supporting through philanthropic gifts and its $49,000 a year in-state tuition. The $8.8 million in state money that has previously funded the program would be directed to other uses on the campus. In 2010, when the proposal surfaced, Anderson relied on state funding for only about 6 percent of its budget. UCLA spokesman Phil Hampton said in a recent statement that privatization is important to the program’s success and gives other campus programs Anderson’s share of $8 million. “UCLA leaders believe it is imperative to find innovative solutions to ensure continued academic excellence amid dramatic reductions in state support,” said Hampton. Various bodies at UCLA approved the proposal before sending it to the University of California for review. The UC committee wrote that “a serious failure” of current system-wide policy does not allow them to approve the move to private funding. The committee “recommends that the UC Office of the President and the Academic Senate develop an explicit policy regarding such conversions,” according to the letter.